Reading this quote (albeit, a roughly translated Confucius saying on success that is easier for my brain to wrap around this way) makes me cringe. I’ve been chasing a seriously large amount of rabbits lately – one of my biggest black holes and bad habits that I fall into time and time again. I recently had someone who’s judgement I trust imperatively (she’s the pure definition of a girl boss – the girl was on the Forbes 30 Under 30, founded a multi-million dollar company, and now runs one of my favorite blogs ever) ask me why I have so many jobs. She had called to leave a message on my voicemail and wasted five minutes of her life listening to me rattle off my 37 (okay, 5) different job titles – and I wasn’t even including the random items I was doing on the side. The only answer I could give her? "Success depends intensely on our ability to say NO"
Needless to say, she was stoked on my honesty and self awareness, but it really made me stop and think about exactly why I’ve packed my plate full once again, and if I’m creating roadblocks in my own path to success. It’s so hard not to fill our lives with more, more, more all the time – but let’s think about the rabbit analogy for a minute; if you’re chasing too many things, can you really ever reach your potential in any one area? Honestly? Probably not. Just like you won’t catch either rabbit if you’re chasing two, you likely won’t do your best work or reach your goals if you’re chasing too many goals in the first place. 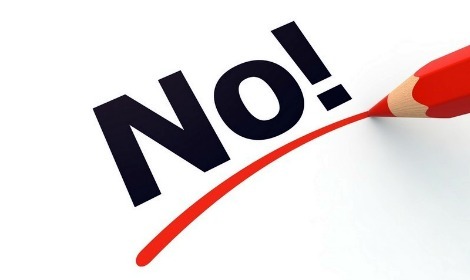 Success depends intensely on our ability to say ‘no’. I’m having to do some spring cleaning in my life right now and figure out which ventures are the most important and which things are creating unnecessary detours on my road map to awesomeness. Are you committing to things in your life that are getting in your own way? What could you clear out of your life to make more room for success?